It’s a story that probably comes as no surprise to Israelis, but it is nevertheless a story worth telling. The ‘poor’, the ‘economically disadvantaged’, the ‘marginalised’, however they are defined, do not vote for the Israeli Labor party, the traditional standard bearer of the Israeli left. The Israeli Labor party long associated with the Ashkenazi elite, is nevertheless historically associated with, the narrative at least, of pioneering socialism, collective kibbutzim and nation state building. It wears its leftist badge proudly. But what about today? How does Labor’s brand of leftwing politics fair with the four most disadvantaged or marginalised groups in Israel – Palestinians, Bedouin, the economically disadvantaged, largely Mizrahi dominated towns in the country’s periphery and the Religious Orthodox or Haredi. The short answer – very badly indeed. 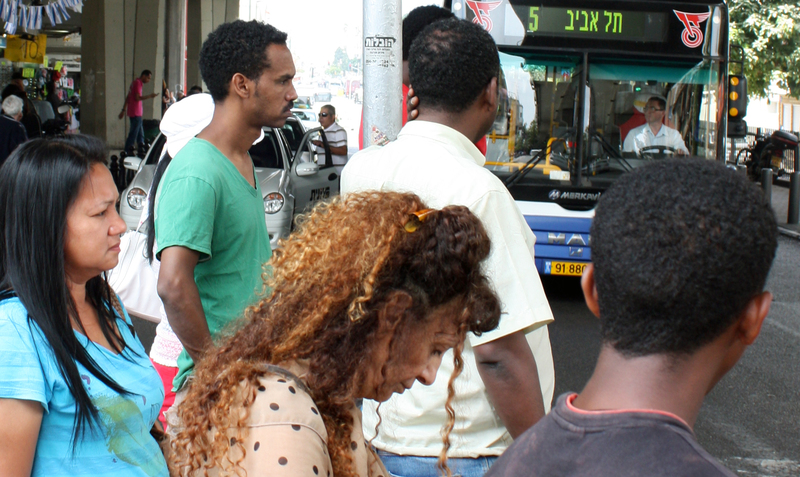 The Israeli Census Bureau in 2013 ranked 255 Israeli Local Authorities in order of “socio-economic” development. The ranking criteria included amongst other things, the proportion of those with third level education, employment levels, standard of living, and age structure. Each settlement, city or village was given an overall score ranging from 1 (lowest) to 10 (highest). Only two communities, Savyon and Kefar Shemaryahu received a score of 10. Some eleven communities received the lowest ranking score of 1. Unsurprisingly almost of those communities both large and small that found themselves languishing at the bottom were either Religious-Orthodox (Haredi) or Israeli-Arab, including Palestinian, Druze and or Bedouin communities. We have cross referenced the Census Bureau socio-economic rankings with the results of the 2015 Knesset elections for each of these communities, to reveal the stark reality of the oddity of the “Israeli Left”. The so called (Zionist) “Left” in the 2015 Knesset Elections included the small left-wing Meretz party and the Zionist Camp (an alliance of Labor, Hatnuah and a minor ecological party – the Green Movement). The Zionist Camp ended up as the second largest grouping in the Knesset receiving 18.7% of the vote and securing 24 seats. Bibi Netanyahu’s right-wing Likud Party topped the poll with some 23.4% of the popular vote and 30 seats. The relatively substantial vote for these two largest parties (by recent Israeli election standards) and their comparable size allows for some interesting comparative analysis across Israeli towns and cities. Of the top 100 poorest or socio-economically weakness local authority communities (including small towns and large cities) ranked by the Census, the Israeli Labor Party did not receive a plurality of the vote in a single town city or village. Put another way, the so called traditional standard bearer and largest party of the Israeli political left, a party that came second nationally and received almost a fifth of the vote did not top the poll in any of the local authorities that make up the bottom two fifths of the most disadvantaged communities is Israel. In fact, the Labor Party topped the poll (plurality of the vote) in 45 of the top 50 privileged towns and cities – almost all in the centre of the country – or small moshavim or kibbutzim. It came first in the wealthiest, or economically most secure 27. All of the largest wealthy suburbs or satellite cities of greater north Tel Aviv plumped for Labor; Ra’nana, Hod HaSharon, Ramat HaSharon, Kefar Sava, Herziliyah. The two wealthiest communities where the Likud, enjoys a plurality of the vote, Oranit (ranked 28th wealthiest) and Alfe Menashe (ranked 39th) are both Settlements just located over the Green Line east of Tel Aviv. The Joint List – a political alliance of four Palestinian-dominated parties, including Hadash the heirs to the Jewish-Palestinian Israeli communist party topped the poll in 41 of the 50 most impoverished communities – all of them Bedouin, Druze or Palestinian. The Haredi parties Shas and United Torah Judaism (UTJ) topped the poll in 7 of the poorest 50 communities. Of the 14 non-Haredi or non Palestinian/Bedouin towns in the top 100 poorest – 12 gave their top vote to Likud. These included the Mizrahi dominated towns Qiryat Gat, Qiryat Malki, Ofaqim and Netivot. Economically at least the Joint List, Shas and United Torah Judaism are ‘welfarist’ if not ‘leftist” in outlook. Shas is a party traditionally supported by lower income, religious and “traditional” or self-identifying Mizrahi Jews. All three political groupings support significantly higher state spending on education, children’s allowances, pensions and health care. None of these parties are traditionally understood as being part of the ‘Left camp’ or Zionist Left Camp to be more specific. On election night the Haredi parties are firmly grouped with the right, the Palestinian Joint List, largest ignored as it is simply assumed in Israel politics that the Palestinian dominated party would never join or ever been invited to join a left leaning coalition. Many “left” wing parties in democracies across the globe of course transcend socio-economic interests. Israel is no different in that regard. The international political left is increasingly defined by its identification with, and support for, minority rights, cultural identity politics and broader civil libertarian, social and ecological issues. Labor of course has never commanded significant, let alone a plurality of support, from the Palestinians, Bedouin, the Religious Orthodox (Haridim) or Jews of North African or Middle Eastern descent living in the periphery. But Israel is perhaps unique however in that the traditional standard bearer of the so-called (albeit Zionist) “left” does not command the loyalty or support of any of the four largest minority or economically disadvantaged or most discriminated groups in the country. Previous Why does Israel fear Parliamentary Constituencies?